Celebrities hit the red carpet for the 30th edition of the European Film Awards, Europe’s arthouse equivalent of the Oscars. Nationalism, the oldest and worst European disease. How can it possibly creep back into our present tense? The awards were launched in Berlin a year before the fall of the Iron Curtain, at a time when making movies in a divided Europe was a major hurdle for filmmakers, who often relied on national budgets alone to fund their work. Among those honoured at the event were Franco-American actress and film director, Julie Delpy, with a European Achievement in World Cinema award and Russian filmmaker Aleksandr Sokurov, who received a Lifetime Achievement Award. Over a career spanning four decades, Sokurov has been an inspirational voice in Russian and European cinema, both artistically and for his commitment to freedom of speech. His most significant works were screened as part of a retrospective in Berlin. French-born Delpy, who lives in New York, started acting at the age of 14, in a Jean-Luc Godard movie. A writer, director, producer and composer, she has worked on some 70 films over a career spanning thirty years. “For me it means a lot to receive a prize from a European committee, because for me European cinema is priceless – its artistic, intellectual and cultural value are extraordinary,” said Delpy on red carpet. 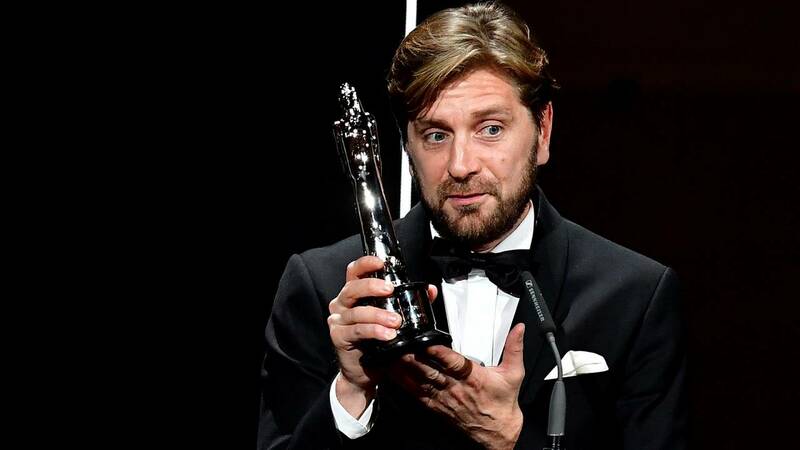 There was little doubt over who the true stars of the evening were: Swedish director Ruben Östlund and his team picked up no less than six awards for ‘The Square’, including Best Film, Best Director and Best Actor. It’s the first time the acting gong has been awarded to a Dane: “For an actor to be trusted in that way, to find out that you actually have that sort of trust with the director that he actually allows you that time and space to investigate and explore… it has been amazing, it has been the most insane thing in my acting career, really, yes,” said Bang. ‘The Square’ also won in the Comedy, Screenplay and Production Design categories. Following on from its success in Cannes, where it took the Palme d’Or, and at the European Film Awards, ‘The Square’ has been nominated in the Best Foreign Language motion picture category at the Golden Globes. Best Actress went to Hungary’s Alexandra Borbély for her role in ‘On Body and Soul’ by Ildiko Enyedi. The bizarre and brutal tale of two lovers in a Budapest slaughterhouse, ‘On Body and Soul’ has earned critical success on the film festival circuit and picked up the Golden Bear in Berlin earlier this year. An emotion-filled event, the European Film Awards was a chance for Europeans to come together in times of rising nationalism. The European Film Academy president, Wim Wenders, gave an emotional speech, saying he furious today because of ““an old monster that we thought we had buried, called nationalism”:https://www.theguardian.com/film/2017/dec/10/the-square-triumphs-with-six-prizes-at-european-film-awards-berlin… the oldest and worst European disease. How can it possibly creep back into our present tense?”. The strength of European film offers great promise for the future of Europe against the “simplifiers, the oligarchs, the enemies of freedom whether they sit in Washington, Moscow or Tehran,” he added.